So starting today I was able to watch from Nihondaira's press zone. The reason for this is I will be providing match reports for Afshin Ghotbi's official website. Find today's here. 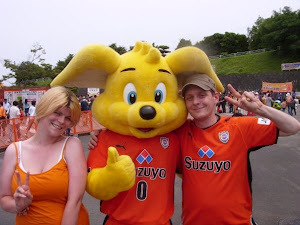 Aimed more generally at the English speaking world, these will report the game from a Shimizu slant, but much less partisan than this blog. Fear not, as this site will continue with my own personal views and opinions of our season as it unfolds. So how is it unfolding? Better and better! 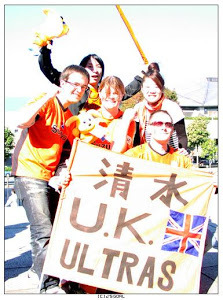 We should have had this wrapped up earlier than we did, but that said it never really felt like Omiya were about to get back in it. Genki had one chance in particular shortly after Novakovic's goal to double the lead but, most unlike him, drilled it straight at the keeper. In a similar situation in additional time he made no mistake, firing home with relish. I can't praise Genki's performance highly enough. He was everywhere today. Nagasawa and Nova may be the target of crosses and the main men for Omae's corner kicks, but just behind them Genki covers so much ground and gives the opposition a torrid time of it. Jakovic is improving and fitting in better. I thought his stampedes up the right flank gave Omiya all kinds of problems, and with a little bit more sharpness I can see him creating some serious chances. We're up to tenth, but with it still being so early we're only five points off the top. 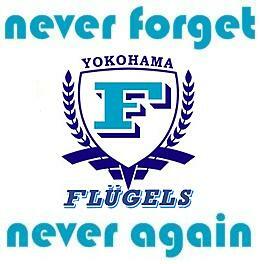 Next week we travel to Tokushima Vortis. All being well we should take three points which will put us anywhere up to 5th. The season's getting going, and so are we. Onwards and upwards! Kenta Hasegawa's first visit to Nihondaira as an opposition manager didn't end happily for the former Shimizu boss. His newly promoted Gamba Osaka were left ruing their wasted chances as they returned to Kansai pointless. If tonight was all about taking chances, then it was us who did what was required. 4 shots to G. Osaka's 14, Nagasawa's poke home just after the half hour was the difference. I've not been so glad to get home from a game for while. The constant cold drizzle started to grate in the 2nd half, and the frequent Osaka shots were doing nothing for my nerves. We dug in though, held on and the three points are ours. They keep us top of Nabisco Cup group A, and with game three our game off (there are seven teams in the group) our next fixture is not until May 21st. Up to Tokyo midweek to meet Ota and friends once more.